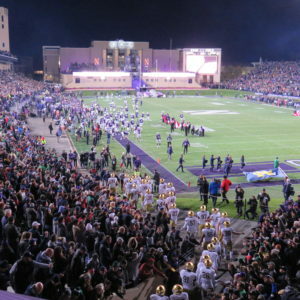 Packed to capacity, Ryan Field was jammed with Notre Dame and Northwestern faithful anticipating a hard fought battle. 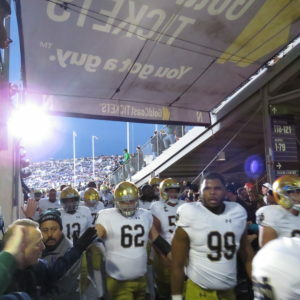 The 7-7 halftime score suggested that the Irish better take the ‘Cats seriously. 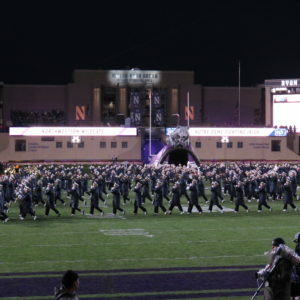 Northwestern struggled early in the season, but now had the inside path to the Big Ten Championship Game. 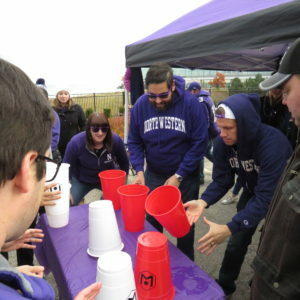 They were no pushover. 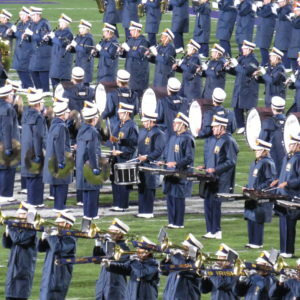 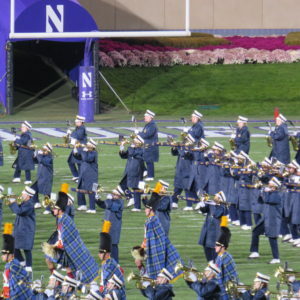 The second half gave the Notre Dame band more to play about. 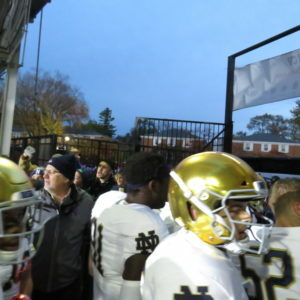 Two quick Irish scores provided some comfort for fans in navy and gold. 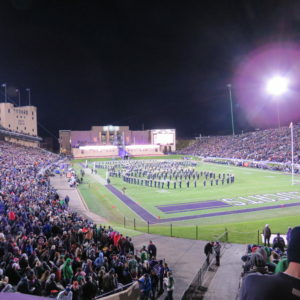 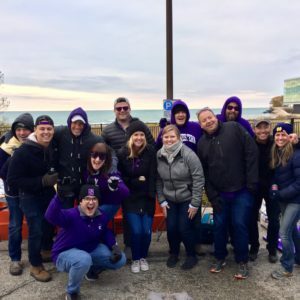 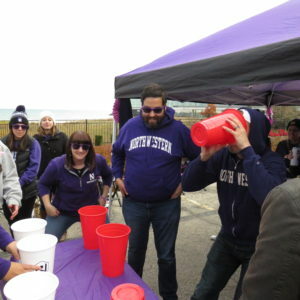 Despite their team’s success, some visiting fans complained about the underwhelming amenities at Ryan Field. 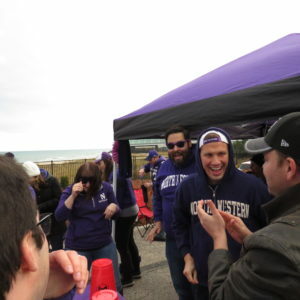 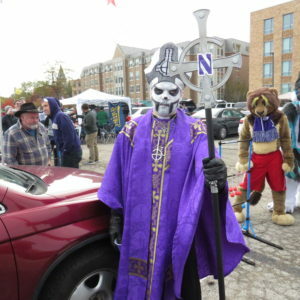 “I used to like Northwestern until I had to come to their stadium,” barked one fan. 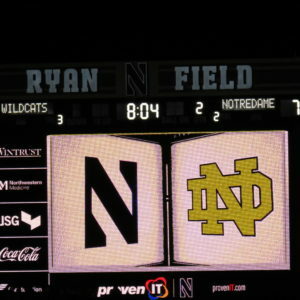 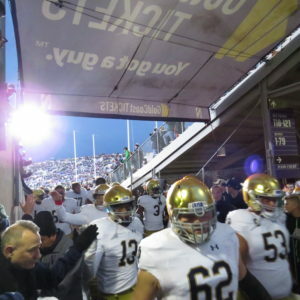 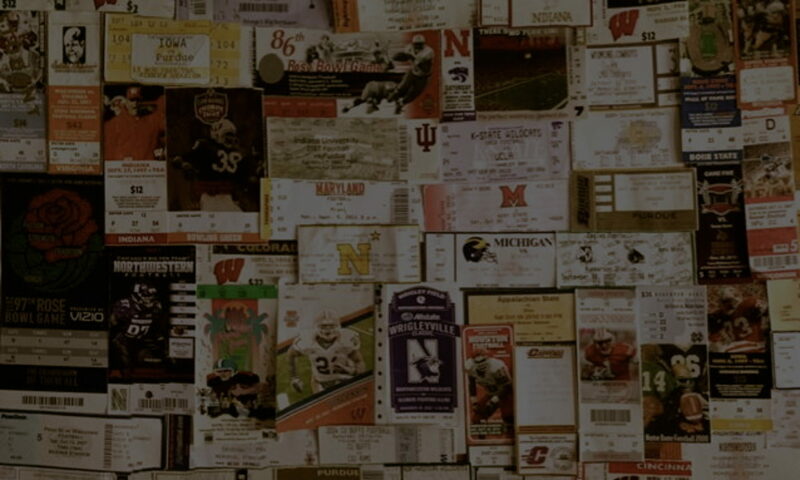 Not every team is as fortunate with such a rich football history as Notre Dame helping to pump funding toward fan perks. 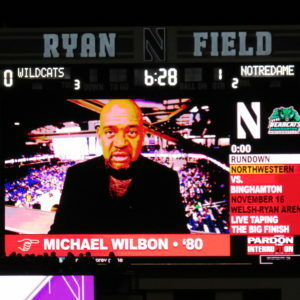 Despite their lack of a football palace, the Wildcats are always a threat. 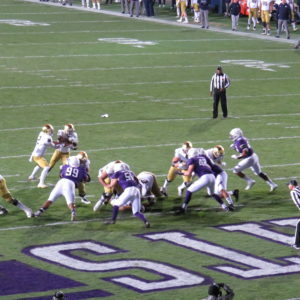 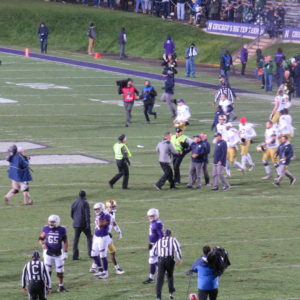 Two fourth quarter Northwestern touchdowns later, Notre Dame began to realize how much of a target is in their back. 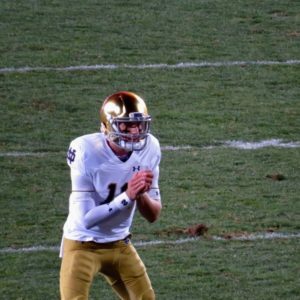 An exciting final quarter continued with QB Ian Book putting the game in the victory column for Notre Dame with a 23-yard dash to the end zone. 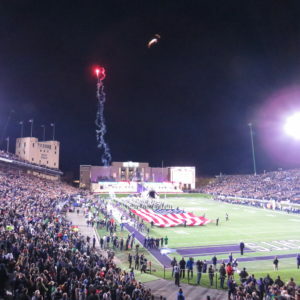 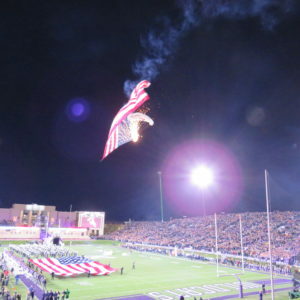 One of the best environments ever at Ryan Field didn’t leave fans disappointed. 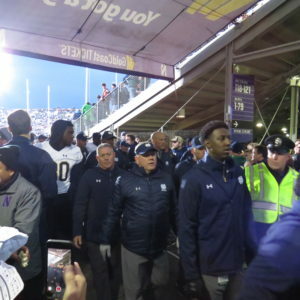 Two good teams played very well. 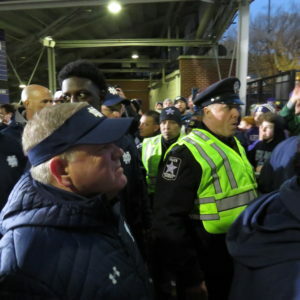 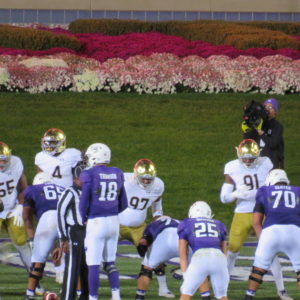 The Irish have playoffs in their sights and the Wildcats likely have a Big Ten title game looming. 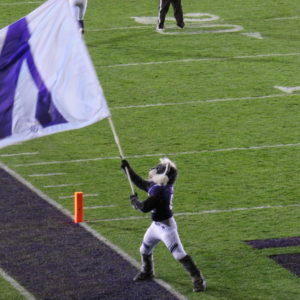 These two Chicagoland teams are making their city proud.